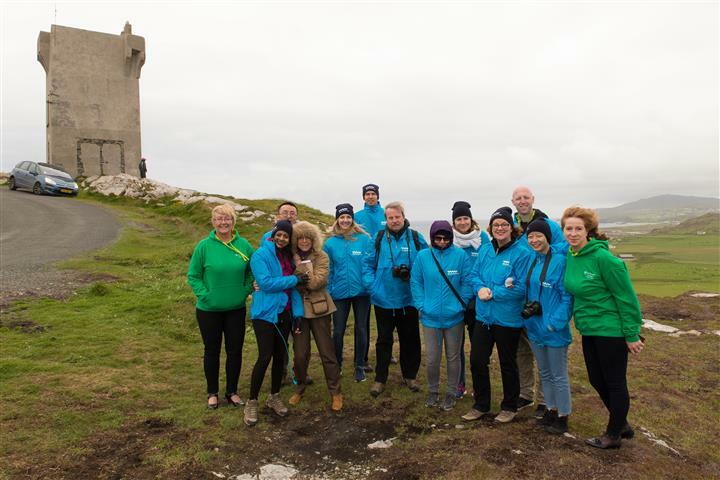 Last week Inishowen Tourism welcomed Failte Ireland’s Publicity representative Antoinette Reilly and a team of International journalists to sample some of the “What to see and do” here in the Inishowen Peninsula. A total of nine international writers came from all corners of the globe to visit; these included India, China, Germany, Italy, The Netherlands, Spain and Canada. The journalists specialise in articles for various travel, living and lifestyle magazines, travel blogging and national tabloids for their country of origin. A welcome reception was arranged for the first evening of their trip. They had travelled up from Dublin via Monaghan, and after a brief chance to freshen up from what had been a long journey for some of them and take a quick glimpse of the evening sun shining over the Lough Swilly they were joined by Inishowen Tourism representatives Heidi Woods and Denise Henry in the restaurant at The An Grianan Hotel. An informal greeting ensued with a small token Welcome Pack linked to the itinerary provided by Failte Ireland. Trips such as these are an opportunity to collaborate with industry partners, share experiences, and gain insight from another perspective; the discerning journalist in this case. This was also an occasion to put names to faces and personally meet Antoinette Reilly from the publicity team and Martin Kelly the tour guide accompanying the group on their three day tour. An action packed adventure awaited the small group with visits to various locations including our famous An Grianan of Aileach Stone Fort standing 800 feet above sea level that dates from approximately 1700 BC. A truly panoramic view was in store for their first stop, especially on a good clear day when four counties can be seen at a glance. Highlights of the trip included a stop at the Glendowen Crafts for a browse and shop with coffee served. Horse trekking on the beach at Tullagh Bay, a superb lunch in the Rusty Nail; a stretch of the legs up to the stunning Glenevin Waterfall with a cuppa to follow at the Glen House & Rose Tea Rooms. A visit to the majestically perched Fort Dunree was followed by the spectacular views through the Gap of Mamore then back up to the Ballyliffin area calling at the Doagh Famine Village and Carrickabraghy Castle. 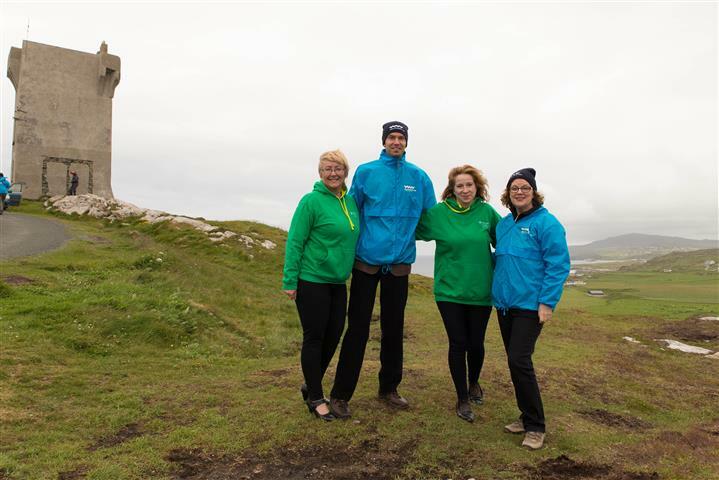 A photo session was arranged at Malin Head on the Thursday afternoon kindly facilitated by local photographer Brendan Diver from Photos from Ireland. 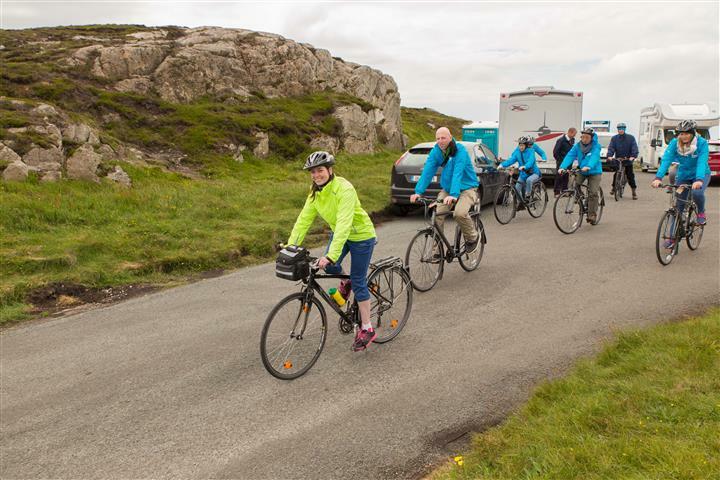 The visit to Malin Head was rounded off with a cycle escorted by Cycle Inishowen’s Blaise Harvey with a pit stop at Irelands Most Northerly Pub; Farren’s Bar. Hotel bound the last part of the day was a visit to The Inishowen Maritime Museum & Planetarium at Greencastle. On the last evening a farewell request from Inishowen Tourism was granted to obtain some feedback from our visitors to the Peninsula. A relaxed networking experience took place over the evening meal. Rosatos, Moville made for a perfect end to a successful trip organised by Failte Ireland that provided a “taster session” to a journey around Inishowen’s section of the “Wild Atlantic Way”. As the course of the evening progressed there was an opportunity to ask the International Journalists in their opinion “what was their impression of this place as a destination to visit, and what would they recommend or not as the case may be?” The overall impressions were extremely positive from the entire group; they would have liked to slow the pace of the trip down slightly, however that was a restriction that in the timeframe Failte Ireland had to work with, to showcase the maximum possible for them to experience could not be provided. An impromptu visit to the historical sites due to the tides and sea conditions being adverse for the boating trip were a great alternative option, and were described as “very impressive, a time to contemplate” with respect to their location and significance in the development of Christianity in Inishowen. The glory of Cloncha Cross and the church site was described as “the lonely one, and a place that can touch the soul”. The shared experiences of horse riding over the beach and cycling were activities that were greatly appreciated by the group. Again what seemed to resonate throughout the evening was a theme associated with the feeling of connection; scenery, place, people. Whether it was a creative art or craft made here or an activity provided with an attraction as the case may be, it was friendly, informative and personable. Pedro from Spain our “foodie” in the group was in raptures about the fine cuisine in general here, he praised the presentation, the flavours and the service everywhere and particularly mentioned a dessert at The Rusty Nail for its combination of chocolate chip with a rhubarb twist. He stated “the food is as good as anywhere in Spain, and we are particular about that in Spain”. The group also commented on the spectacular scenery at every bend in the road, the overwhelming “shockingly rural” place that connects people with true friendly hospitality and sense of pride in their place being evident. The standard of accommodation was excellent and would like to sample more of what is on offer alternatively if they come back another time. A relaxed pint after the cycle in Farren’s Bar was just the ticket. Apparently they all said they could have stayed longer no problem and it’s a place to come back for more. My favourite quote of the evening came from Jos from the Netherlands he writes for a travel blog and loves all that’s activity based he stated “this is the ideal place for the independent explorer, let the road decide where it takes you” that’s what’s so special about Inishowen. As the Development Officer here in Inishowen I heard nothing negative to be taken from the trip. 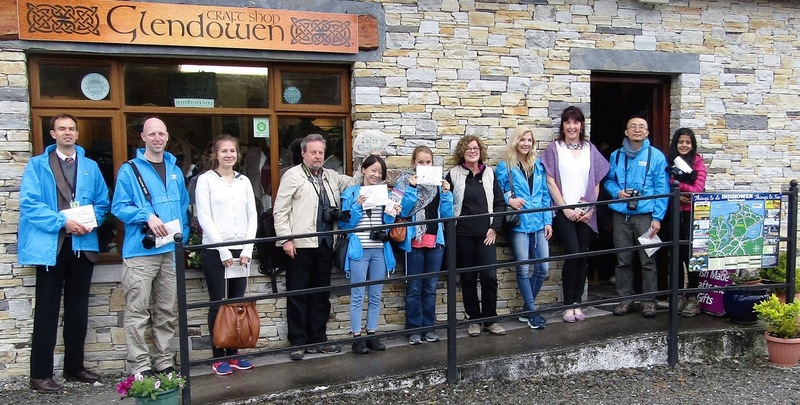 The combination of praise for their Tour Guide Martin Kelly, his knowledge, and attentive approach from Antoinette Reilly engaging at all times both on and offline was impressive and wish to thank them for the opportunity to meet up before and during their trip. Denise Henry is newly appointed as Marketing Assistant with Inishowen Tourism, she was praised by the group for her engagement online back in the office tweeting the news and imagery as it became available. We look forward to working with industry partners Failte Ireland, our members, and our group of International journalists in the future.